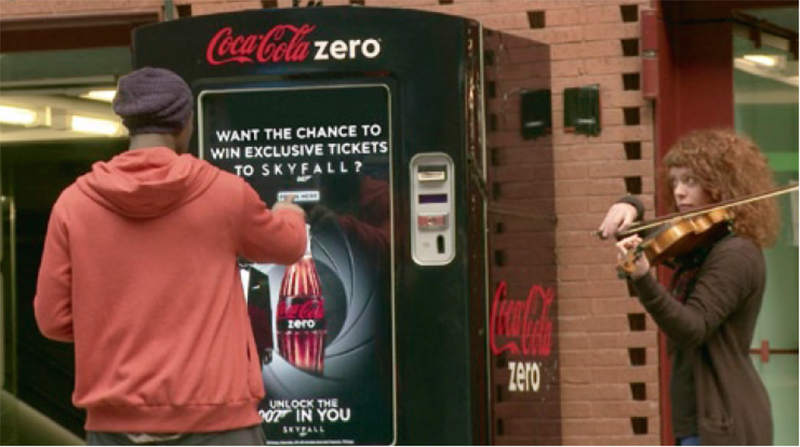 To announce the next stage in it’s partnership with SKYFALL, Coca-Cola Zero challenged some people to unlock the 007 in them and get a chance to win exclusive tickets to the latest Bond movie. Unsuspecting train passengers at a Coca-Cola Zero vending machine were suddenly confronted with a James Bond-like mission. The machine challenged them to race against the clock, through a crowded train station, to collect their exclusive tickets. But along the way, challenges and obstacles unfolded, calling on them to unlock their inner 007. The event took place in the busiest train station in Belgium, so thousands of commuters witnessed the contest. But more importantly we directly touched more than 10 million through an online film (made from the live event). Which made this film the most watched online film in Coke history. With over 1.000.000 shares, the online movie quickly became a top 20 most shared film in the world in 2012.